Over the past few years, we've teamed up several times with our friends (and long time Bubby and Bean sponsor) Gaia Conceptions for some special giveaways. For each giveaway, the prize has been one of their gorgeous pieces of eco-friendly clothing that we've chosen for you. Well this one is the best of all you guys, because if you win, you get to choose whatever you want! One lucky Bubby and Bean reader is going to get $100 to spend at Gaia Conceptions, where you can pick from hundreds of styles of beautifully handmade, sustainable clothing custom created to your size, color choice, and fabric selection. Woohoo! UPDATE: The randomly chosen winner is Bec/Nuturing_Soul. Please contact us at bubbyandbean @ gmail.com so that we can get you your prize. This giveaway will run through May 5, 2015 and is open to Bubby and Bean readers worldwide. All entries from the Rafflecopter form above and Instagram will be combined, and a winner will be randomly chosen via Random.org shortly after the end of the giveaway. Thanks again to Andrea and gang over at Gaia Conceptions for giving our readers the chance to win a gift card to their shop! Good luck! 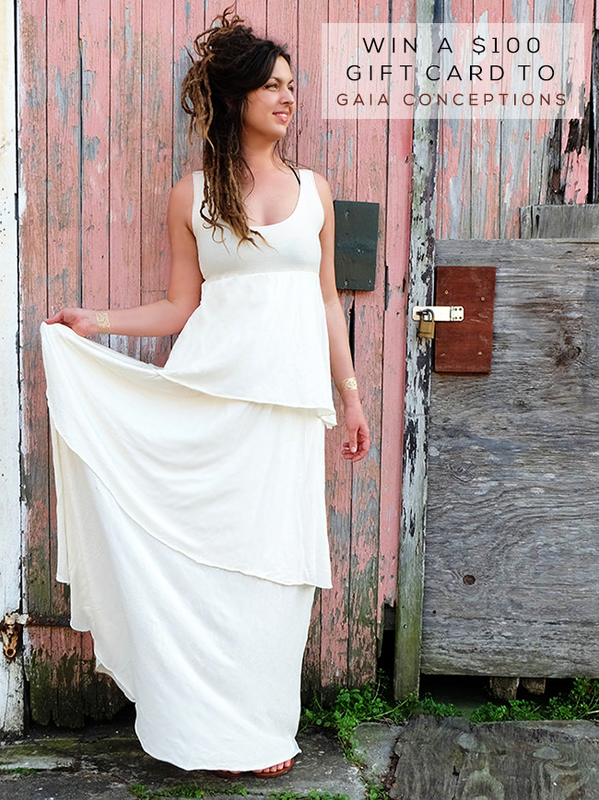 Love the Gypsy Simplicity below knee dress. I like the Ballerina Shirt in raincloud. I've been wanting the short Duende dress for so long! 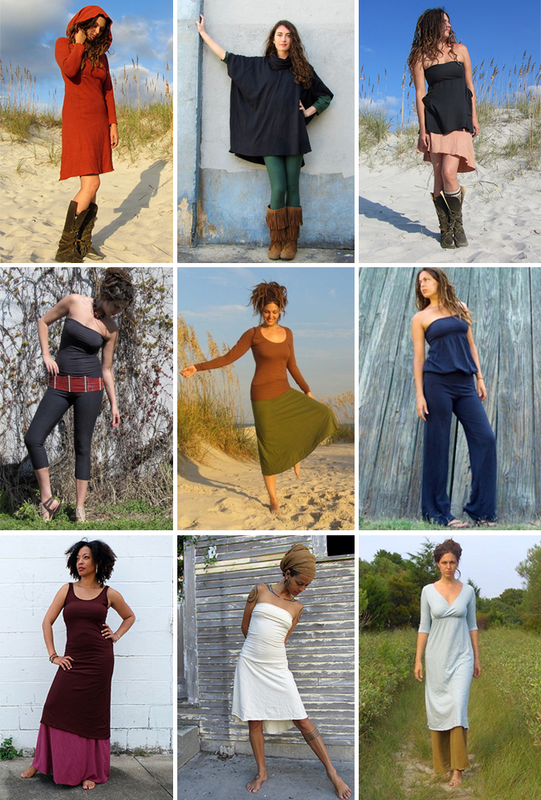 I really like the Gypsy Simplicity Tunic/Mini-Dress. my fave item is the moon dress... or outfit i more like it. I love the Chuba Short Skirt. I really like the "Squid Scarf"! I love the Built in Bra Tank Simplicity Below Knee Dress, thank you! I like the bell sleeve below the knee dress. I love Pencil Short Skirted Fleece Leggings in all the colors. Thanks for the opportunity. I like the Built in Bra Tank Wanderer Tunic Dress. I love the Light Hemp/Organic Cotton Knit , it's gorgeous! The winner's name is listed in the post above, right below the Rafflecopter form.